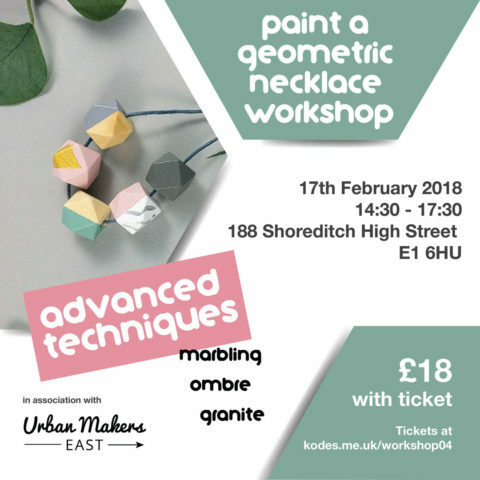 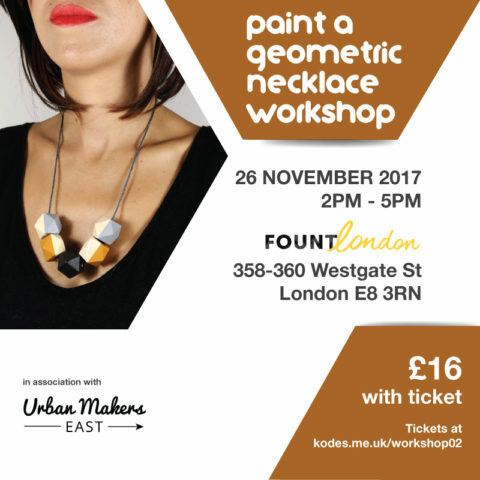 Join Kodes Accessories in a 2h workshop where you’ll paint a pair of her iconic geometric wooden earrings. 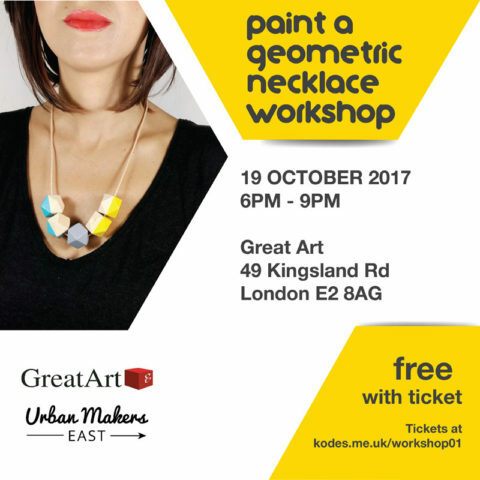 The workshop will be hosted at the Urban Makers East Popup Shop in Shoreditch. 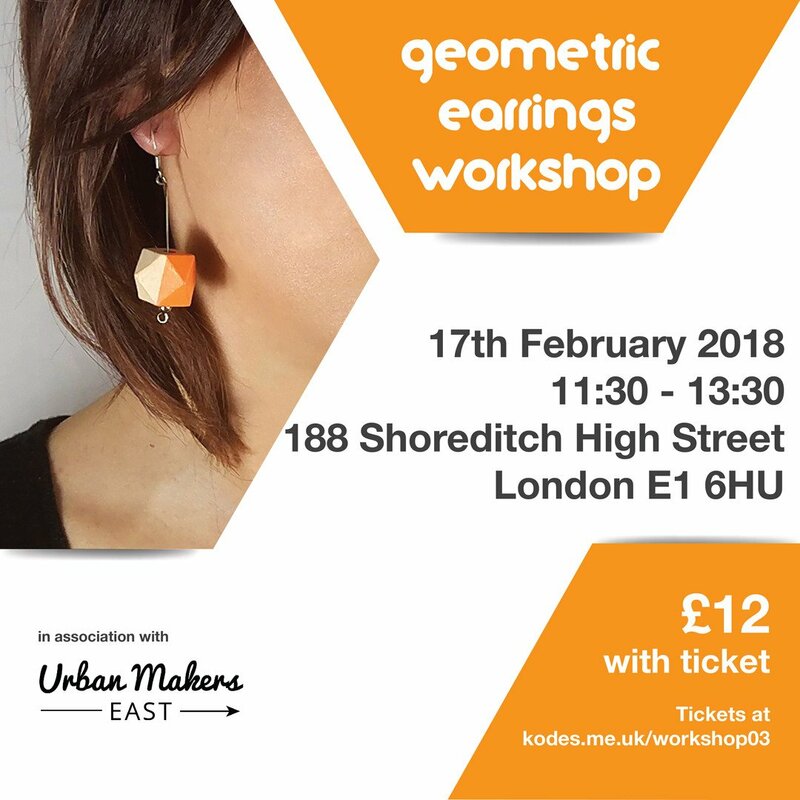 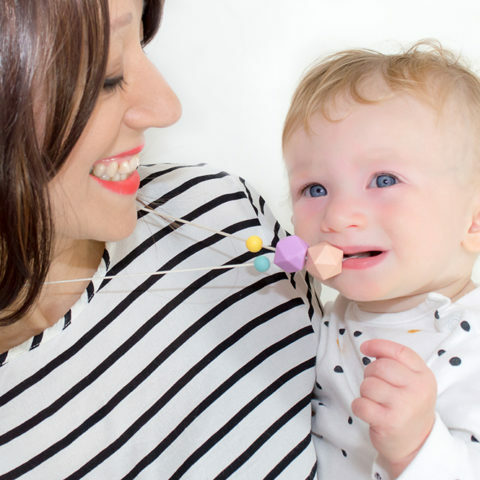 Your experience will include all the materials, a demonstration by Morena, the maker behind Kodes and the final product with the possibility to choose in advance if you’d like to use sterling silver hooks.